The most intensively studied grasslands are those of Northern Europe and North America, and this review will focus mainly on these habitats. However, it is apposite to provide an overview of the global diversity of grassland systems and how they differ from the other main habitat types. Globally, grassland habitats cover ca. 20% of the terrestrial land area (Swift et al., 1979; Parton et al., 1995), occurring mainly where low or seasonal rainfall (250-1,500 mm year-1) has prevented the establishment of woodland, due to the actions of grazing mammals, drought and fire (Ford et al., 2004). Distinctive grassland ecosystems occur at a range of latitudes, for example, in the tropics (e.g. East African savanna, Los Llanos in Colombia/Venezuela) and in temperate climes (steppes, prairies and pampas). At higher altitudes, montane grasslands occur (e.g. in Andean Paramo and alpine meadows), often merging into tundra and heathland. It is very likely that human activity, through livestock farming, fire-setting and logging for fuel, has extended these grassland areas at the expense of woodlands. Such anthropogenic plagioclimax grasslands have in the past two centuries increased in distribution, due to the migration of Europeans and their agricultural practices, for instance, in New Zealand and North America. The semi-natural grasslands which dominate many parts of Northern Europe (e.g. covering >50% of the UK land area (DEFRA, 2005)) are generally believed to be the result of millennia of anthropogenic deforestation. Palynological evidence indicates that most of Northern Europe was under continuous forest cover until ca. 4,000 BP and that there has been progressive deforestation. However, it has been suggested (Vera, 2000; Bakker et al., 2004) that in pre-human (quaternary) times, Northern Europe comprised significant areas of grassland (large 'forest glades'), with larger grazing mammals playing a key role in the maintenance of habitat heterogeneity. 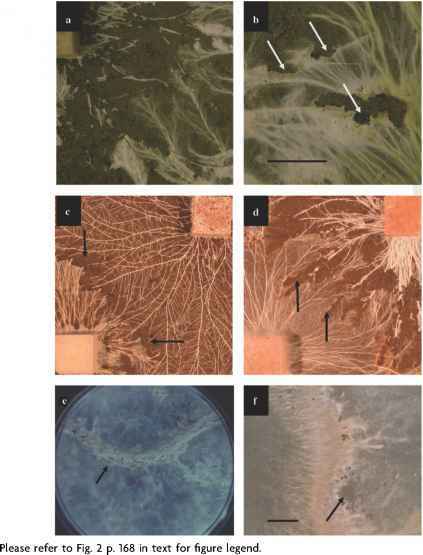 These ideas remain controversial (Kirby, 2003; Mitchell, 2005), not least because very little grass pollen is detected in cores dating from quaternary times, with the main area of disagreement relating to the extent of these pre-historic grasslands (wood pasture with grassy glades, e.g. the New Forest in England or much larger open areas). Long-held views of the distinction between grasslands and woodlands may require reappraisal, with cycling of plant cover over century timescales (grassland — scrub — woodland — parkland — grassland) being a potential successional scenario. From a soil perspective, such thinking is intriguing since it raises the possibility that grasslands and woodlands are less different than is usually perceived. Mycologically this is not a huge surprise since several macrofungal taxa, which are predominantly found in grasslands in Europe (e.g. Hygrocybe spp. ), are typically associated with woodland habitats in most other parts of the world (Cantrell and Lodge, 2000; Griffith et al., 2004). For understanding the ecology of decomposer basidiomycetes in grassland systems, it is important to consider how grasslands differ from other ecosystems, notably woodland. First, soil respiration in grasslands (by decomposers and plant roots in approximately equal measure) tends to be ~20% higher than in comparable woodlands (Raich and Tufekcioglu, 2000), mainly because the temperature of grassland soils fluctuates more widely and is higher in summer, due to greater insolation (Morecroft et al., 1998). In Kansas woodland summer soil temperatures are 5 °C lower than in adjacent grassland, with soil carbon flux 38% lower as a consequence (Smith and Johnson, 2004). Seasonal droughts cause fluctuations in soil moisture and lead to root penetration to depths of several metres (Baker et al., 2007). Following death in situ this leads to significant accumulation of SOM at depth (Reijs et al., 2003). (1) Litter inputs into grassland soils are of smaller unit size with a greater surface area for microbial attack and with much lower amounts of secondarily thickened resource units (branches twigs, etc.). (2) Investment in secondary metabolite production, including lignins, is also lower in grasses than in other plants, so the fungitoxic extractives formed in woody tissues are absent. (3) Mammalian herbivores consume 43-73% of above-ground net primary production (NPP) in grasslands (compared to <10% in woodlands; Swift et al., 1979) and consequently a large proportion of plant litter (ca. 50% of ingested C) enters the soil system in highly comminuted and partially digested form as dung. Although herbivore activity increases NPP (Stark and Grellmann, 2002), mineralization of vegetation in the digestive tracts of grazers and in dung reduces microbial biomass in grassland soil by up to 30% (Sankaran and Augustine, 2004). Variations in grazing intensity also influence surface litter accumulation, with litter accumulation leading to increased occurrence of fire, and thereby reduced N retention (Holdo et al., 2007). (4) A high proportion of plant biomass in grasslands (60-70%; Swift et al., 1979) is below ground, especially under higher grazing pressure (Augustine and Frank, 2001). (5) Regular defoliation by grazers leads to a high turnover of root tissues (a process still not well understood), so a greater proportion of plant biomass enters the soil system from roots (Turner et al., 1993). Grasslands in areas of high human population are among the most disturbed habitats, being susceptible to destruction by ploughing and also abandonment (removal of grazing). Such transitions are usually linked to political/social or economic changes, for instance, the redistribution of land following the French revolution (Dutoit et al., 2004) leading to ploughing up of grasslands, or conversely the abandonment of arable farming (Highland Clearances in Scotland and the Great Depression in the US). It is likely that similar cycles have occurred in earlier periods of history, but even recent shifts can be difficult to discern (e.g. ridge and furrow evidence of historic ploughing), although with the exception of some upland and wooded areas it is quite likely that most North European grasslands have been cultivated at some point in the past. Shifts in populations of higher plants on grasslands in response to such changes have been well studied, but comparable investigations of higher fungi have been much more limited. There are, however, some historical descriptions of fungi which provide some useful clues, for instance, the association of some basidiomycetes with old pastures (Davies, 1813). Natural grassland systems are maintained by grazing, and removal of herbivores usually leads to gradual afforestation. Amenity grasslands such as lawns and road verges are maintained by mowing. The nutrient cycles in such grasslands are dependent on management strategy. Removal of clippings removes nutrients from the system, a process which broadly mimics grazing (with N often added as fertilizer). Where clippings are returned, there is a thick litter layer and changes in plant diversity ensue due to nutrient enrichment. Supplementary feeding of stock in grasslands also represents a comparable form of nutrient addition, only partially offset by grazing activity.